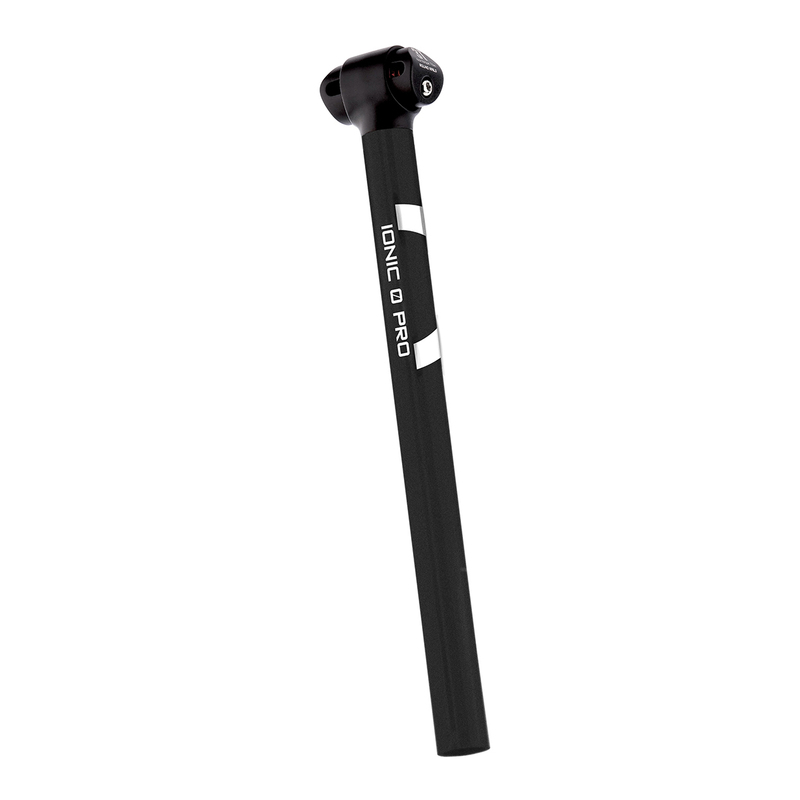 Ionic is a new seatpost design featuring the sophisticated and robust, 3T–exclusive DiffLock seat clamp. Ionic–0 places the seat clamp assembly in line with the seatpost for zero setback. Many athletes seeking outright speed favor this more forward position on the bike. Some frame designers are also specifying a slacker seat tube so riders can set their bike up with an inline post, which is lighter than a setback post. The splined alloy DiffLock coupling is a highly-accurate method of setting saddle angle needing only lightweight clamping by side-mounted bolts. It is especially useful for fine adjustment of saddle setback, which can be done without impacting saddle angle. Ionic–0 Pro is fabricated in aluminium alloy with a shot-peened, black-anodized finish and the white 3T Pro stripe.